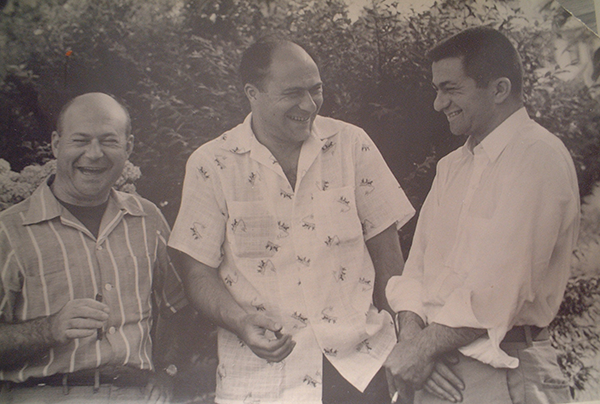 Yiche and Neta Rothstein's three sons. 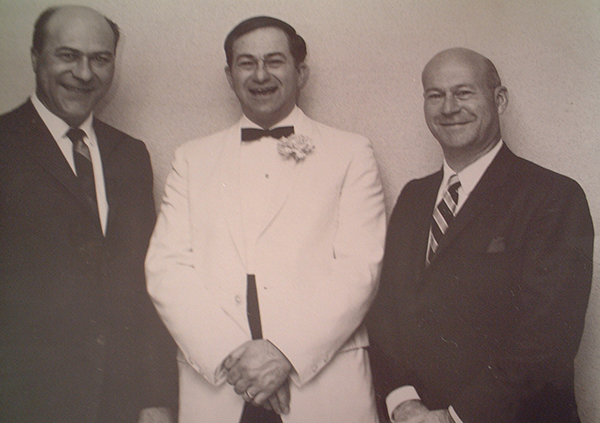 Left to Right: Arthur, George and Robert. 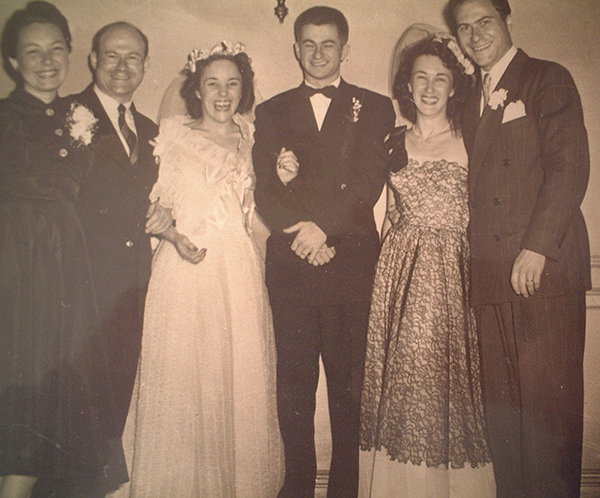 Robert's Wedding. 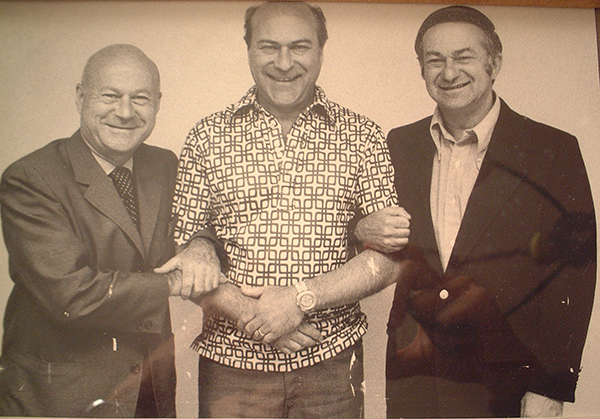 Left to Right: George, Robert and Arthur. 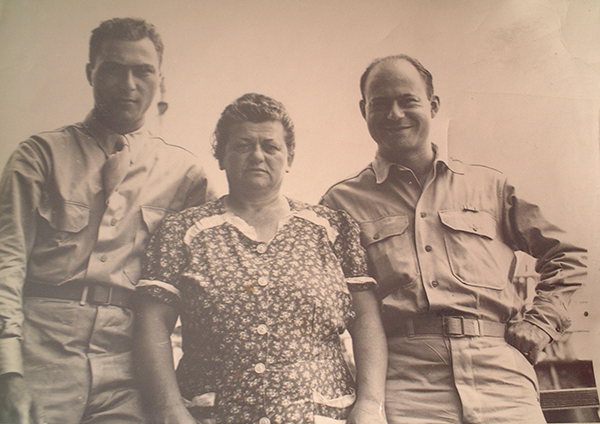 Neta with her two soldiers. 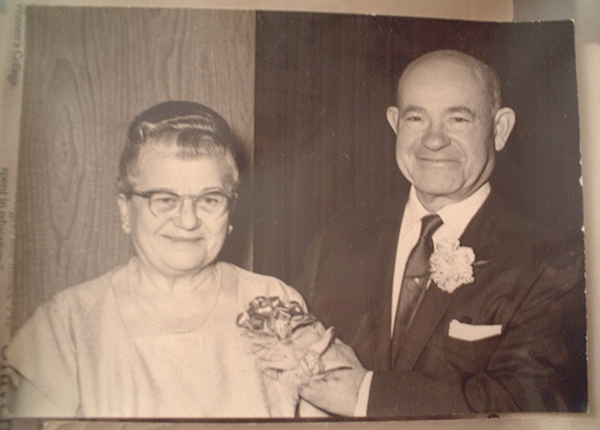 Left to Right: George and Arthur (?). 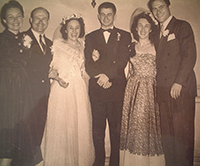 Robert's Wedding. Left to Right: Grace Goodman and Arthur, Natalie Cohen and Robert, Elaine Cohen and George. 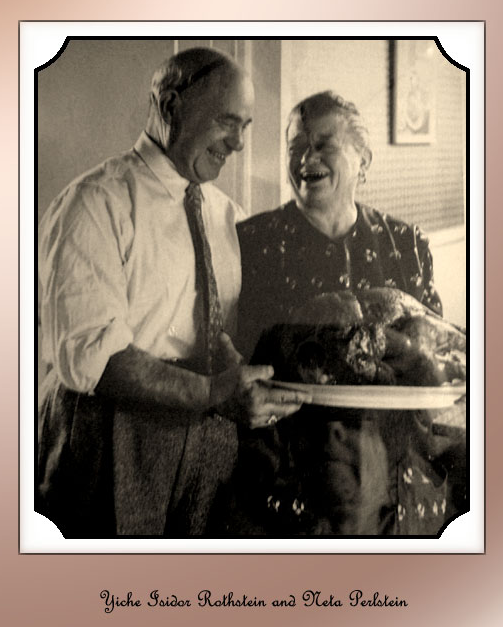 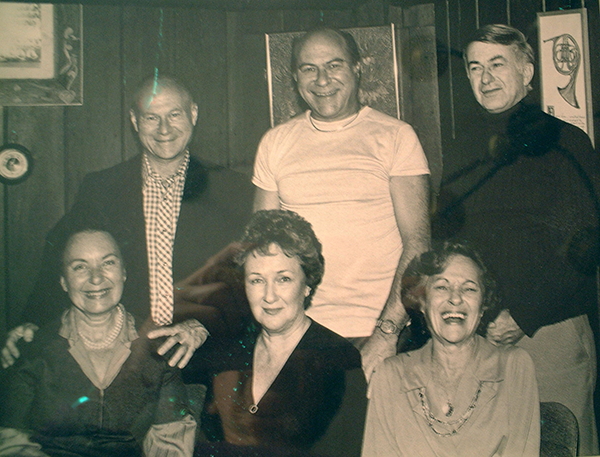 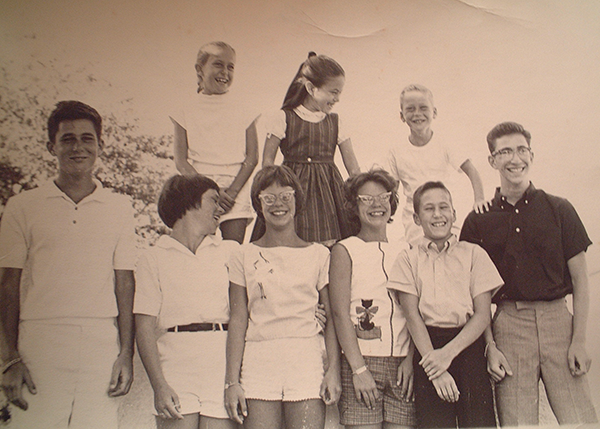 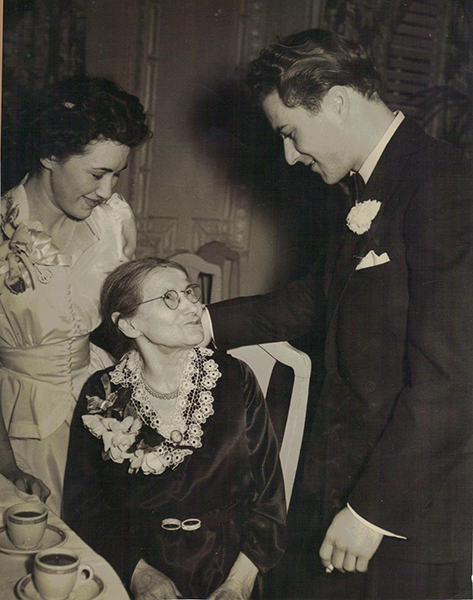 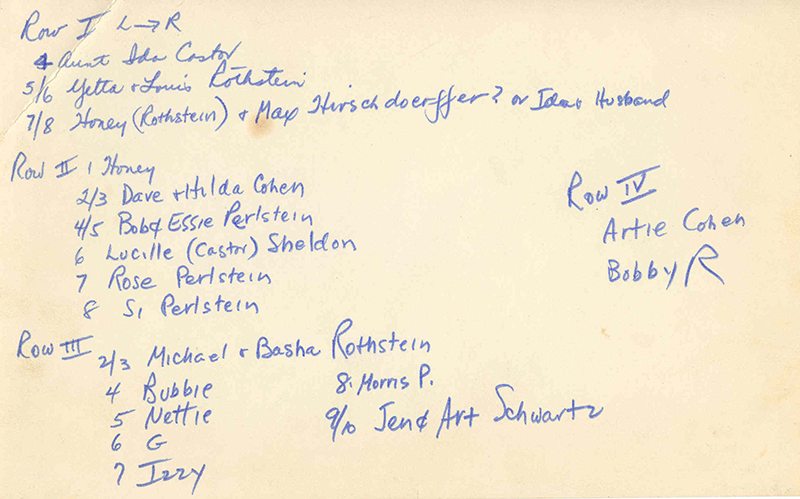 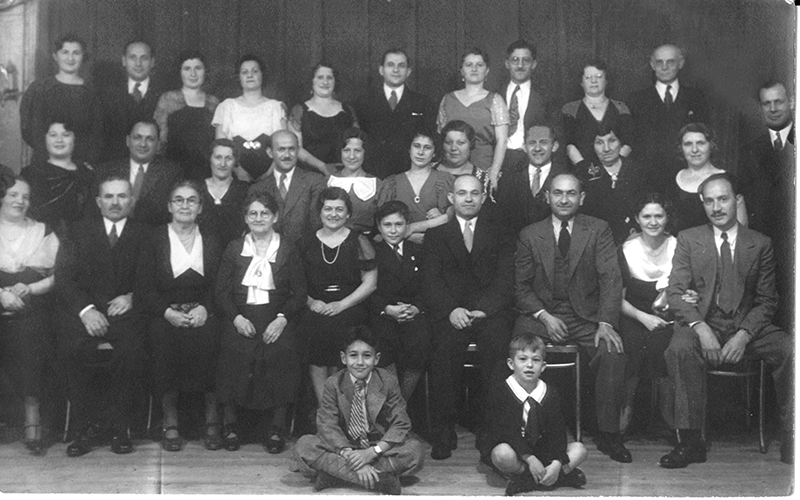 Left to Right: Grace Goodman and Arthur, Elaine Cohen and George, Natalie Cohen and Robert.